When only almost nothing will do. Light, fast, nimble. 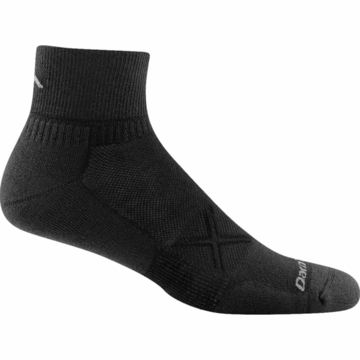 This sock delivers ultimate ventilation and comfort but stays Darn Tough to the finish. 1/4 Sock Height: Sits just above the ankle. The just right height thats fast and light. Great for low-cut hikers and running shoes.